"The Borderlands" - a documentary about capturing the human side of life in the Indian borderlands, beyond our understanding of military and political relationships. 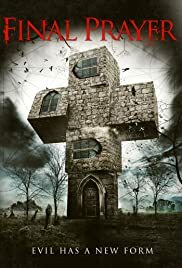 Last year a film was released named 'In Fear', which managed to make the premise of two people getting lost in a maze of country roads as night draws in surprisingly creepy and gripping, before the final act gave way to a more pedestrian nature and the film lost its footing. 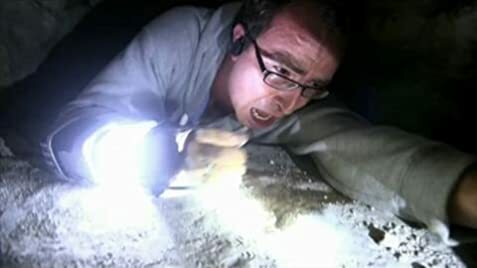 'The Borderlands', a British entry into the canon of handy-cam/found footage horror, manages to work it the other way round. Not to say the first hour or so is pedestrian as such, but going by the premise, no doubt many people will think they have seen it all before and skip this film. They would be partly right, although to the film's credit, it manages to tread that old ground with a good enough script and performances to not seem tired. Deacon, Gray and Mark are Vatican sanctioned, paranormal investigators who arrive in a small, west country town to look into a claim of miracles at a local, old church. Things take a darker turn as their investigation leads them to increasingly unrealistic scientific explanations for the claim. The characters are very real and their relationship is not weighed down by forced efforts to be unnecessarily scary. Indeed, there is an occasional moment of brevity and humour between them, which nicely offsets the apparently tedious nature of their job; one could draw a comparison with the first act of Neil Marshall's 'The Descent', coincidentally another well regarded British horror. Another intelligent point arises in the form of the characters' set of beliefs; refreshingly, it is the agnostic technical supervisor who is most inclined to believe the extraordinary explanation, whilst the believers are the ones jaded by the claims so often proved false. It must also be said that where in other, similar fare, the explanation of the use of home video cameras and the like seems forced and a little intrusive, here it makes perfect sense and you do actually forget that is what you are watching. Then we hit the last 20 minutes! Some earlier chatter about belief proves to not just be screenplay-filling fodder, but real groundwork that actually comes back to bite hard in claustrophobic scenes. This final act's power to disturb is akin to the final moments of 'The Blair Witch Project', 'Rosemary's Baby', or perhaps more pertinently 'The Wicker Man', to which the smart screenplay has actually made humorous and perhaps not purely incidental reference. In these cases, the horrible reality of the story is made truly tangible in such a way as to cause a palpable discomfort within the gut of the audience; it creates a creeping unease that is hard to express in words. So it is the case with 'The Borderlands', although how unnerved you are is not completely clear until after the film, when the imagery of the idea being brought to its fruition cements in your mind's eye, and as with Edward Woodward's final, defiant yelling, or Mia Farrow's famous last lines, a character's dreadful cries become horribly haunting in a way that is tough to shake off simply by saying, "It's only a movie'. 'The Borderlands' is not overcooked and has much about it that will probably be admired by fans of writer/director Ben Wheatley, who is maybe most noted right now for 'Kill List'. Overall, not one we might call a great horror film, but without doubt, within the film are moments of great horror!